Haha that was cruel, would not recommend. Used to be, I guess he'll hold the phoenixes he fractals if SoSa is up now and spamming them out along with a few ruby dragons and lightnings I can see how it'd lose more now. Life was much easier when AI would spam all the damage it possibly could into SoSa, oh well. Heh, the 3 stolen sancs make that screenshot. 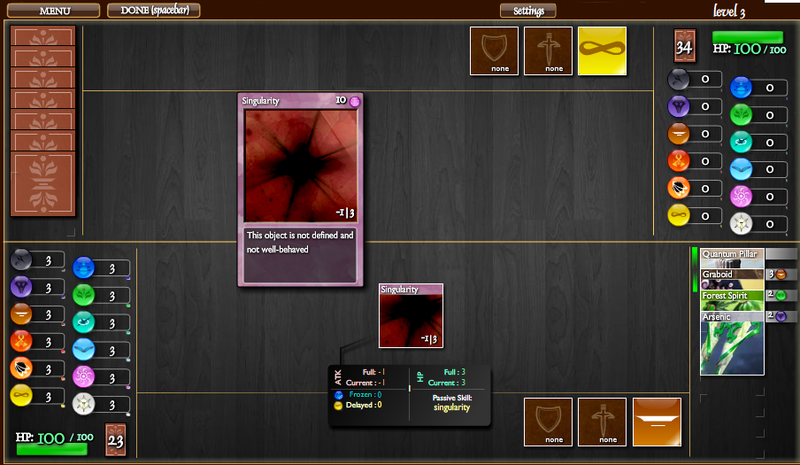 Honestly though it's not a very stable counter deck, not that I can come up with a better one. Hecate's a tough one unupped. Oh hey, grats team Death. Very impressive showing by Light in this war as well. Immorush vs Immorush. I simply had a faster draw. 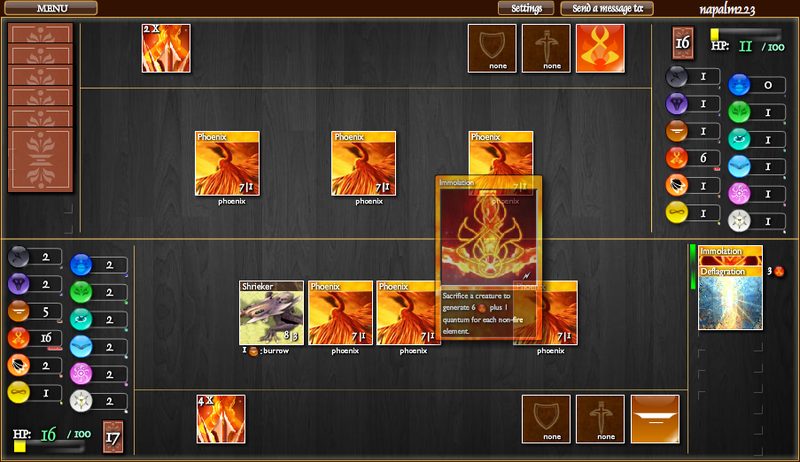 She needed to draw a freeze I assume and for me not to topdeck a phoenix, neither of which happened. Quite a shaky beginning for me starting with half of my water pillars and only 1 earth pillar, this resulted in me getting a trident out well before I was able to utilize it. Unfortunately for Napalm I destroyed a triple stack of water pends early and then her water pillars which meant only 2 toadfish once the fractal came and I was able to freeze one and bolt the other. She conceded upon seeing it was unlikely another fractal would come. Good games with a great player, I hope to see you in another PvP event sometime down the road ~Napalm. Sorry team Triple Threat, you were one of my top picks for this event. Kudos for wielding the elements you respectively hold the master titles to. The Arena / Re: Who has the highest rating in each League? Some random unupped novabow. I think the highest I've been in silver has been 1550 or so. 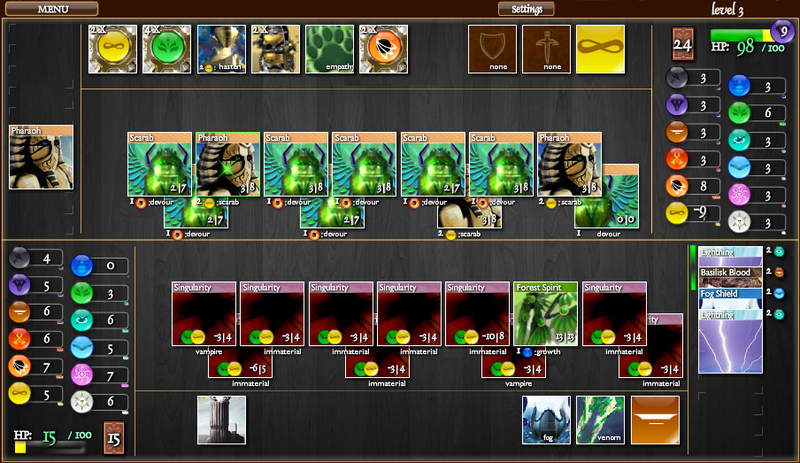 Game 1: Giant 46 card immortal vs immophoenix, ultimately the deflag on the shield that came out won me the game. I won by a hair the turn he was going to miracle. Got pretty great quanta/damage. 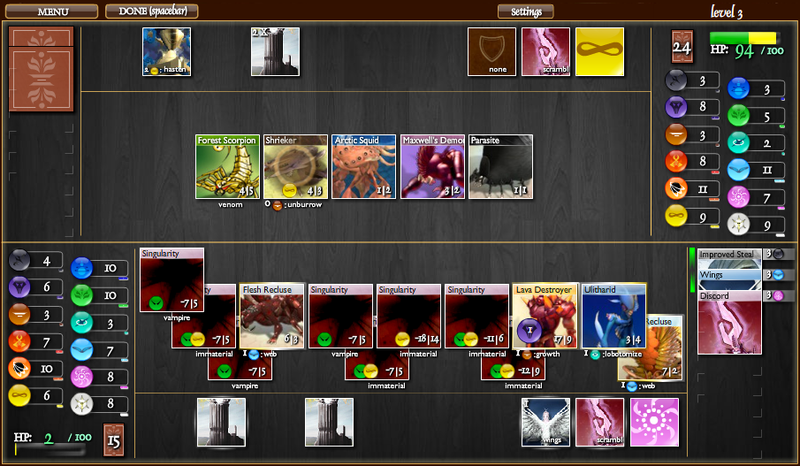 Game 2: Aether mark, hmm lightnings. 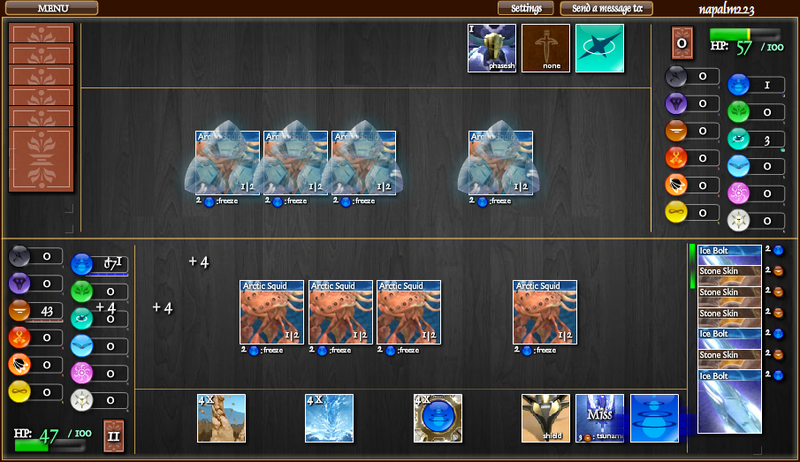 Had an awful start, was chipping away with a gnome army and later on a graboid. Eventually drew a pillar then topdecked rather well. I played a bit cautiously expecting dimshields but suddenly my phoenix got PU'd twice and it was a race to the finish from thereon. I was very worried on the last turn since I was in killrange of 3 lightnings and a dragon, but only 1 lightning and dragon dropped. Jen-i could have easily won both games with a bit more luck, he only drew 1 lightning in the last game. Well played, I'm fortunate to run into such well mannered opponents so often, I guess it says something about the community here. I'm very sorry to your team about the scheduling conflicts I caused, but if it's any consolation my reasons weren't petty.